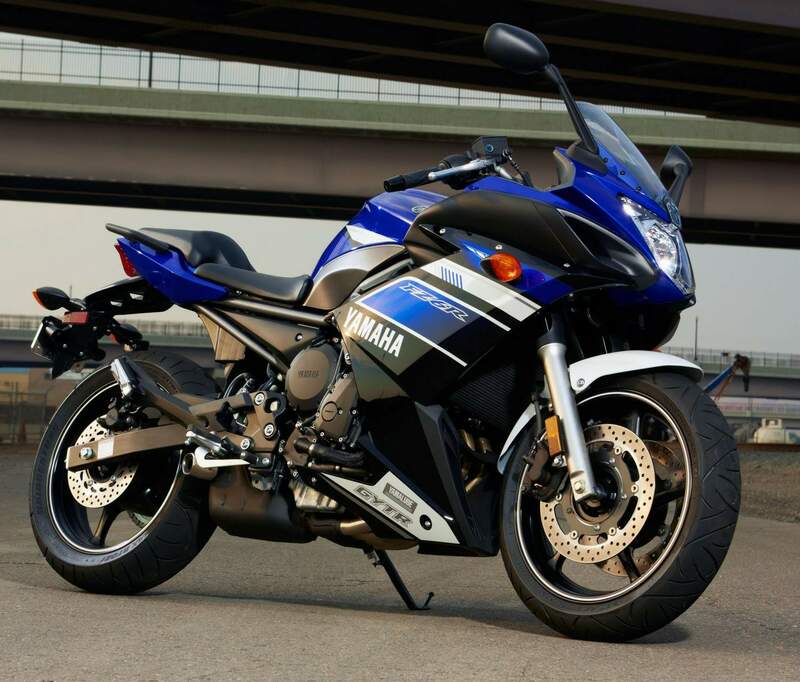 The Yamaha FZ6R has a special ambience that makes you feel comfortable the minute you swing a leg over the seat. It is a sports bike that does not make any earth shattering claims; just a bike that will leave you smiling after each and every ride. Perhaps you are just getting started in motorcycling or have been around long enough to recognize that fun is not always determined by engine size or horsepower. 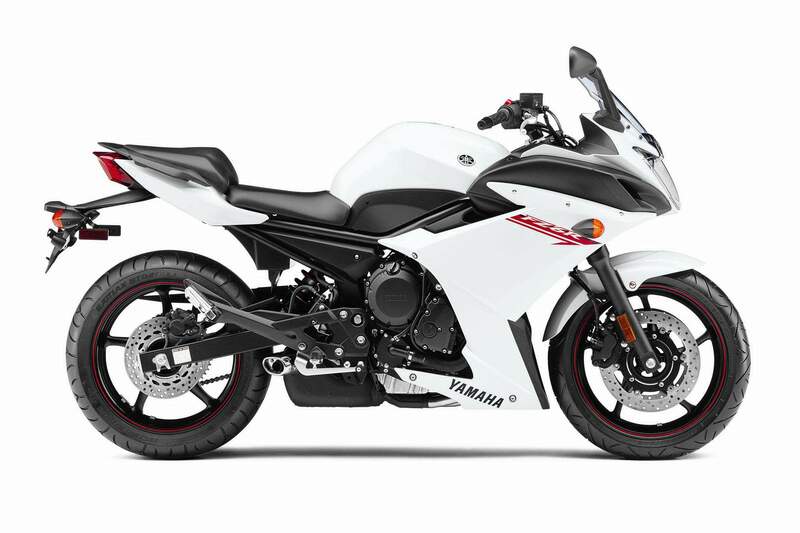 The 2013 FZ6R offers features that make it easy for beginning riders to get started: A low seat height, grips that reach back to you, and a torquey, 600cc engine you won't outgrow anytime soon. Add a beautiful diamond-steel frame, a sleep fairing, an R6-style exhaust and a price that makes it way more affordable than it looks, and it all adds up to the ultimate first sportbike. Somewhere between cruisers and supersport bikes exists a genre simply known as "sports" bikes. •"Group-Type" Mikuni 32mm throttle body fuel injection provides outstanding throttle response and excellent fuel economy. Group fuel injection divides the four cylinders into two groups (1 & 4 and 2 & 3) with two injections of fuel for every 720 degrees of crank rotation. •Compact "high dynamic range" injectors use 4-hole / 2-direction spray type injectors for excellent throttle control, reduced emissions and great fuel economy. •Compact slant-block engine uses a "Tri-Axis" stacked 6-speed transmission design to create a shorter engine (front to back) which allows for optimum engine placement in the frame for a balanced weight distribution and great handling. •"Inner push" type clutch release mechanism provides very light and smooth clutch lever action. •Compact 4 into 2 into 1 "midship" style exhaust system features a 3-way catalytic converter which reduces harmful exhaust emissions (CO, HC, CO2 and NOx). The result is very clean running engine that easily surpasses strict EPA and EU European emission standards. •This "midship" style exhaust system concentrates mass in the centre of the bike and keeps the centre of gravity low for light agile handling at any speed. •"Diamond-type", high tensile tube steel frame is used. The main frame tubes are 31.5mm in diameter and feature a minimum of welds and bends. Rigidity around the steering head and swingarm pivot has been optimized for excellent handling and stability. •This frame design helps to maintain one of the lowest seat heights (785mm / 30.1") in the 600 sports class. •Detachable steel rear sub frame reduces costs in the event of a "loop-out". •Conventional 41mm cartridge style fork provide great handling and excellent ride comfort. Plastic protectors help prevent tube damage due to stone chips. Wheel travel is 130mm (5.1"). •Full fairing offers great wind and weather protection. An inner panel around the instrument area provides a clean, quality image for the "cockpit". •Stylish two piece rider and passenger seat design offers excellent comfort. The rider portion of the seat is adjustable. The standard position is the lowest (785mm / 30.9") position with an ability to increase the rider seat height by 20mm or approximately ¾ of an inch. •Adjustable handlebar design. The traditional 7/8" steel handlebar not only offers a comfortable, more upright riding position but can also be adjusted 20mm (approximately ¾ of an inch) forward by rotating the handlebar mounting brackets 180 degrees. The traditional handlebar design also allows easy replacement to a different "bend" if so desired. The sluggish economy and wild gasoline prices have had a positive effect on at least one thing: entry-level sport motorcycle sales. Lower MSRPs, excellent fuel economy, less expensive insurance all mixed with good looks, seem to be the recipe for success. 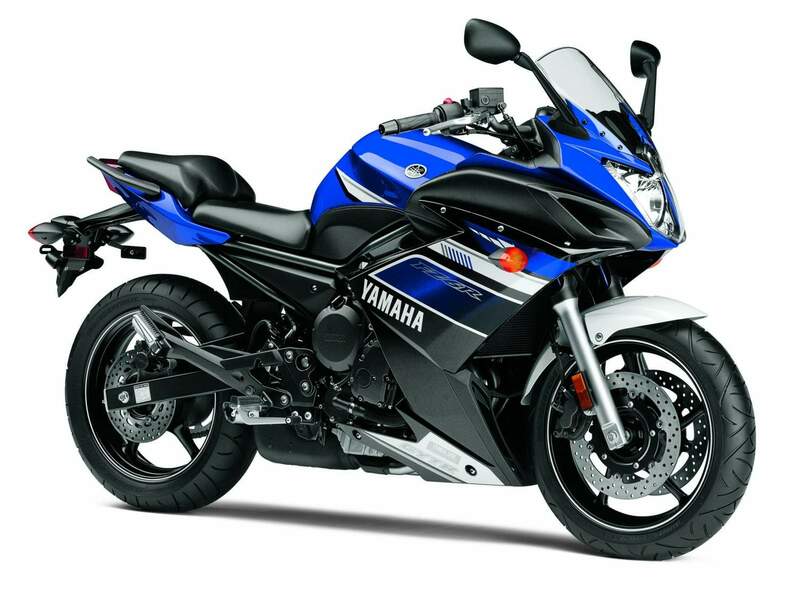 Yamaha's new 2009 FZ6R has arrived at precisely the right time; packed with a more torque-filled 600cc inline cylinder engine, the latest SOQI suspension, sleek full fairing, tuned under belly exhaust and all for a lower price, this particular motorcycle seems set for sales success. The styling cues may come from the more advanced R6 sibling, but less-experienced non track-oriented riders will appreciate the low seat height, upright handlebars, easy handling, ample brakes, smooth engine and manageable power, for daily commuting or just plain getting out and having fun. What this motorcycle lacks in gut wrenching acceleration, it makes up for with smooth, usable power. For sure, this bike appeals to the more entry-level riders but we found this motorcycle to be more than capable in the corners and in a straight line. Upon mounting the new FZ6R on a brisk February morning, you quickly settle-in to the comfortably upright riding position. The all-in-one gauge package, with analog tachometer and digital speedometer, are in clear sight and add to the quality feel of the bike. The seat and handlebar placement puts you in an at-ease, yet ready-for-action position. Both items are adjustable to accommodate different rider sizes and preferences; this feature may be helpful for taller or shorter riders trying to find the right fit. Riding the FZ6R was pleasant as the engine runs smoothly and is relatively quiet. Entry-level through advanced intermediates will find the acceleration anywhere from intimidating to 'about right'. The engine delivers more low-end torque but less top-end than the FZ6, which makes for a more enjoyable ride. As with most 600s, learning to utilize the full rev-range, up to nearly 12,000 rpms, will ensure you get the most that this package has to offer. The steel frame, solid mount engine and in-house Yamaha SOQI suspension provide excellent stability over bumps and through sweeping corners. The switch from the 180 to the narrower 160-rear tire imparts easier steering, cornering and overall maneuverability. The two-piston front calipers don't necessarily look impressive on paper, but they worked well under full stopping power and while trail-braking into corners. The individual items of this well thought out package were all extremely able-bodied and combined to work seamlessly together. The FZ6R is a motorcycle that sports an aggressive look, ample wind protection, responsive handling and 43 mpg (nearly rivaling the Toyota Prius) making for an affordable yet very enjoyable ride--perfect for back and forth to the college campus, commuting to the office, or a two-up ride to the mountains. The new 2009 FZ6R is now available in dealerships nationwide with a starting MSRP of $6,990. 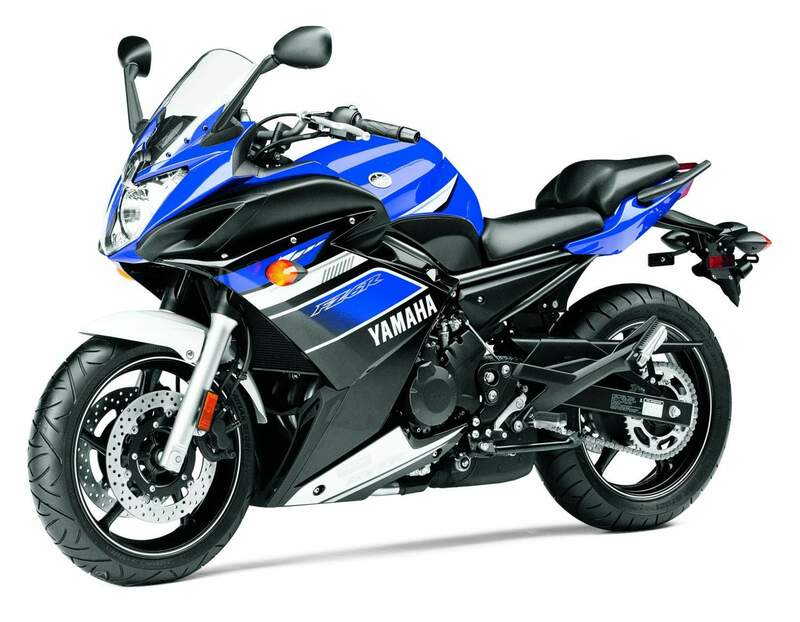 The motorcycle is available in Team Yamaha Blue/White, Pearl White, Cadmium Yellow and Raven.